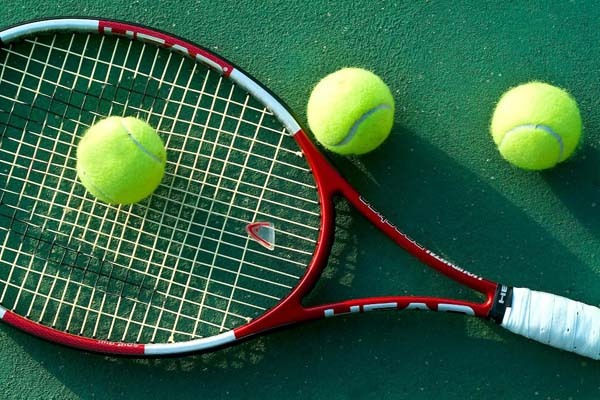 ISLAMABAD, Oct 20 (APP): Top seed Aqeel Khan, second seed Muhammad Abid, 4th seed Heera Ashiq and 8th seed Muzammil Murtaza moved into the semifinals of 1st Chairman POF Board National Ranking Tennis Championships 2016 by beating their respective opponents at Ordinance Club, Wah Cannt on Thursday. In the first quarterfinal Aqeel Khan outplayed 6th seed Ahmed Chaudhry in straight sets 6-1, 6-2. Aqeel did not allow Ahmed to settle down throughout the match. He was in good touch and took the match in only one hour and five minutes. Aqeel will face Heera Ashiq in the semifinal on Friday. Heera Ashiq also out played Barkatullah in straight sets 6-1,6-2. Heera Ashiq only conceded three games in both the sets. Muzammil Murtaz made the upset when he eliminated third seed Shahzad Khan in an exciting three-set match. Shahzad won the first set at 6-3 and built up the lead 1-0 sets. In the second set, Muzammil came back strongly and won the the set in the same fashion at score 6-3 by playing consistent game and levelled the score one all. The match was decided in the final set, in which Muzammil proved too good and took the set at score 6-0 without conceding a single game. At 0-3 Shhazad Khan got medical time out for knee. Muzammil will face Muhammad Abid in the second semifinal on Friday. Both the semifinals will be played best of five sets. Aqeel Khan beat Ahmed Ch. 6-1,6-2; Heera Ashiq beat Barkat ullah 6-1,6-2; Muzammil Murtaza beat Shahzad Khan 3-6,6-3,6-0; Muhammad Abid Aman Atiq 6-2,6-0. Muzammil Murtaza beat Saqib Umer 6-0,6-3; Aman Atiq beat Asad Ullah 6-0,6-0; Yousaf Khan beat Barkat Ullah 7-6(4),2-6,6-2; Haris Irfan ul Haq beat Muhammad Shoaib 6-2,6-3. Aftab Ahmed Memon beat Altaf Mehmood Raja, Chaudhary Zubair 6-1,6-3; Irfan ullah Khan, Nauman Aleem Durrani w/o Amin Ullah, Syed Faheem.